Our pet therapy program has done a wonderful short video of some of our teams in action. We shot the video over several days as teams visited Mission Children’s Hospital inpatient and outpatient areas; Mission Hospital oncology patients, surgical patients, waiting rooms; and community agencies including a hospital hospitality house, a rehabilitation facility, and elementary schools. 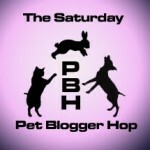 I accompanied the videographer on most of the shoots, and it was an amazing and uplifting experience to view the dogs in action. Some of the dogs are multi-talented, such as the sheltie (pictured with the adult cancer patient) who competes nationally in dance competitions. To the delight of the patient and all of us, she showed off a few moves in the patient’s room, but we are saving that footage for a future video! Many of the dogs are rescues. Jelly, the shepherd/husky mix, simply showed up as a stray one day at the Howey’s home off a rural road. Brandi the dalmatian is also a rescue. Haley, the beautiful golden retriever pictured at the Rathbun Center, passed away just a week after the video shoot. We are so thankful we captured her giving golden smiles and love to the end. These are just a few of the more than 80 dogs in the program, including my Baker. We are so proud to be a part of Paws on a Mission! 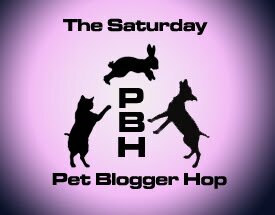 This post is part of the Saturday Pet Blogger Hop, hosted by Two Little Cavaliers, where you’ll find links to many other pet blogs. Enjoy! This entry was posted on Saturday, November 12th, 2011 at 3:58 am	and is filed under therapy dogs, Uncategorized. You can follow any responses to this entry through the RSS 2.0 feed. Both comments and pings are currently closed.